The Battalion of the One Hundred and Fifty-Sixth Regiment--Was composed of five companies, two of which were recruited in the Seventh District, and one each in the Fourth, Fifth and Sixth Districts. The battalion was organized at Indianapolis on the 12th of April, 1865, with Charles M. Smith as Lieutenant Colonel. On the 27th of April it left Indianapolis and proceeded to Harper's Ferry and during the term of service was engaged in performing guard duty in the Shenandoah Valley. On the 4th of August, 1865, it was mustered out of service at Winchester, Virginia, and returned home, arriving at Indianapolis on the 7th with seventeen officers and three hundred and eighty men for final discharge. After attending a public reception in the Capitol grounds. 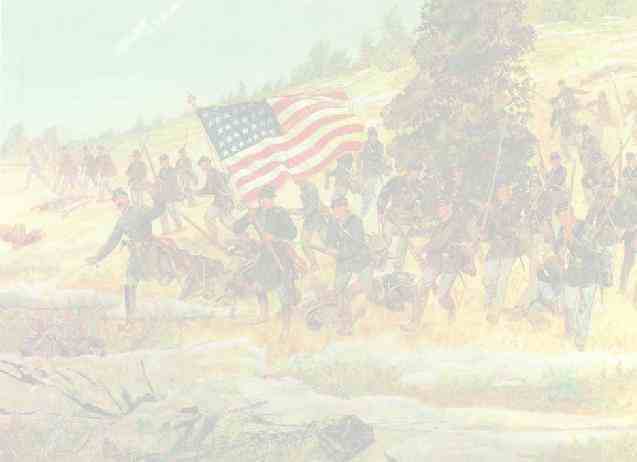 on the 8th, it marched to Camp Carrington where it was paid off and finally discharged. The full organization of this Regiment was stopped by special order from the War Department; consequently it was organized as a Battalion of five companies. Organized at Indianapolis, Ind., April 12, 1865. Left State for Harper's Ferry, W. Va., April 27. Guard and patrol duty at various points in the Shenandoah Valley until August. Mustered out August 4, 1865. Lost during service 17 by disease.